United Nation’s Secretary-General Ban Ki-moon has appointed Nickolay Mladenov of Bulgaria as new Special Coordinator for the Middle East Peace Process and Personal Representative to the Palestine Liberation Organization and the Palestinian Authority. He will replace Robert Serry of the Netherlands and oversee the ongoing UN-backed reconstruction efforts in Gaza. This reconstruction is undertaken by UN, after thousands of people were displaced in July 2014 during the month long Israel-Palestinian conflict. Prior to this appointment, he was head of the UN Assistance Mission in Iraq (UNAMI). Earlier, he was a Member of the European Parliament for Bulgaria. 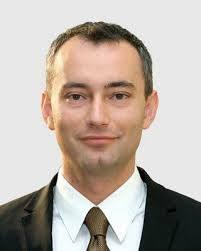 Nickolay Mladenov also has served as Bulgaria’s Minister for Foreign Affairs and Minister of Defence.